This past week I have collected two photos of things I saw while driving that I have found are a little strange. The first is the image below of a cement truck. It’s completely pink and with flowers painted on it. 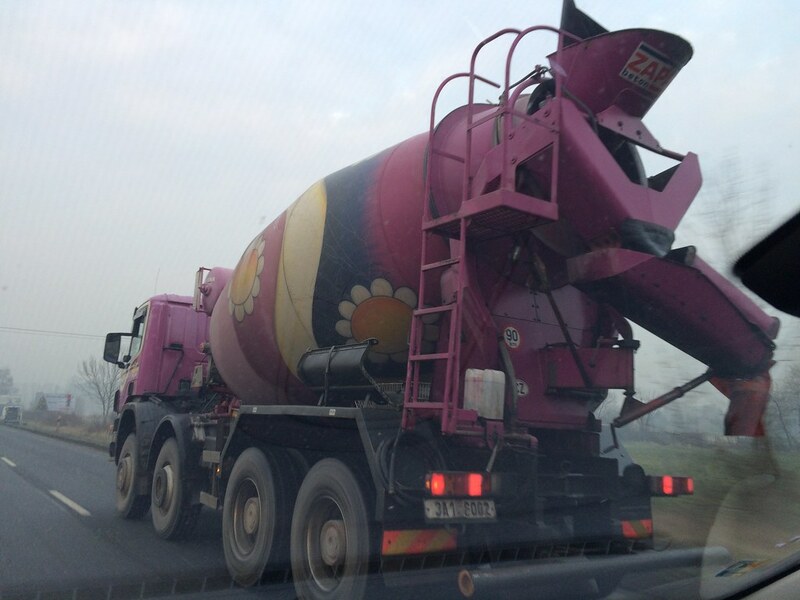 Personally, I think cement trucks are manly. They are not supposed to be painted pink or have flowers painted on them. 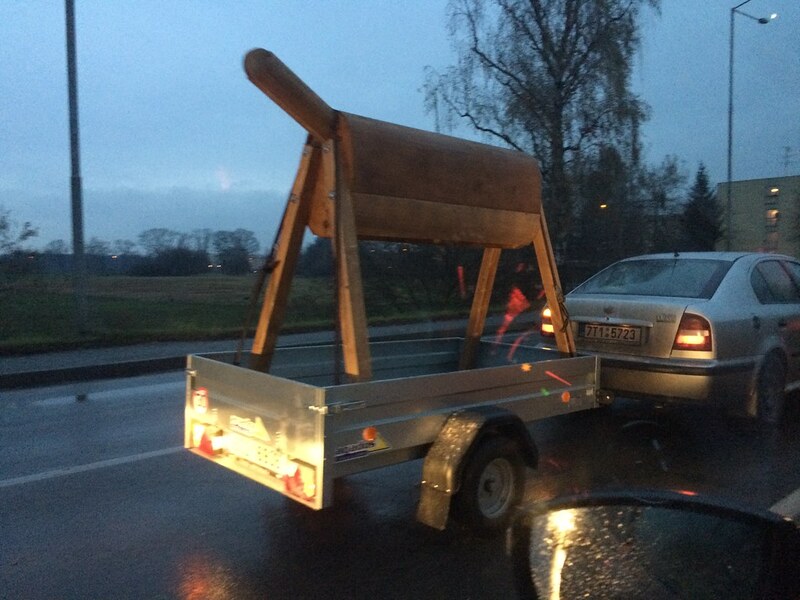 The second thing I saw this evening is this weird wood thing in the back of a little trailer. Maybe someone knows what it is and it’s purpose, but I am confused. But I digress. Other than the strange things we’re seeing, we kept Titus home from school today. He was sneezing a lot this morning and we don’t want to spread anything among his class. Our health as a family is slowly improving, so I was a little bummed that Titus might be coming down with something. We’ll track of that and see how it goes. Tonight as I was laying the kids down, and after reading them their Bible, Titus asked me, “Dad where’s God?” Before I could answer he said, “In heaven?” I said, “Yes.” Then Titus asked, “Why can’t I see Him?” I tried to explain to him that the Bible says we can’t see God, but that He is spirit. This led to more questions and Avery cut in to the conversation from her bed and said, “Titus, we see God in the Bible.” I believe she’s actually talking about the pictures we see in her “Big Picture” Bible, but it still sounds profound and she’s absolutely right. We can’t see God, but we can see Him in the Bible. I’m thankful I get to have little conversations like that with my kids. I left the bedroom smiling with hope that our kids continue to ask questions, even the hard ones like why we can’t see God. My hope is that they would one day truly see God in the pages of their Bibles, in the creation around them, and in the lives of Bethany and me.